@Ina The conversation went something similar to this: I said, 'When Adyen jumps on board and we have to give our SS numbers, etc, I will be quitting eBay. She responded, "Oh, a contract was just signed. You'll be ok for another 11 years." I said, "Do you mean that Adyen won't be the payment processor?" She responded, "Yes, eBay had a problem with them. They won't be the payment processor. You don't have anything to worry about for another 11 years." She was not aware of Apple Pay. Who knows.....transparency is a rarity. "As for the payments issue - your refusal to see linkage and causation is odd - but as nothing means anything to you - Im starting to understand." WHAT? I said NOTHING of the kind. My EXACT comment was: Ebay's online payment policy is a completely different subject from what is being discussed here. I have concerns about it too. Some are the same as you describe, some are not. Honestly I don't know why you continually try to misrepresent what I post. Some information I found out on the net. The original contract with PP ends in 2021. It appears a new contract was signed to extend that to 2023. Another couple of years. I don't know if that helps, it is all I could find. I haven't found anything about an additional 11 year contract. I'm not saying it doesn't exist, I'm only saying I haven't found anything. I have not read nor heard anything about this change, but nothing surprises me when it comes to Ebay and their lack of disclosures. Ebay has never really dealt with CS well since Donohoe took over and although if you are able to get into the Concierge group the CS is out of this world great, for the average Ebay user it is the worst I have ever seen or dealt with. Ebay considers any team or department that does not generate some type of revenue as unnecessary and I am sure they are not looking forward to having to take over the CS side from Paypal and as others have said Adyen is not going to do it either. This is going to result in a lot of chargebacks from buyers and complaints filed with whichever government agency oversees the credit card industry ( I just cannot remember right now) and Ebay is going to be in way over their heads as to the rules and regulations that they cannot skirt around like they do everything else. Ebay owned Paypal but Paypal was their own company who dealt with all of the Credit Card Industry rules and regulations and took care of Ebays CS for them because Ebay owned them. This is going to be a brand new experience for EBay and they may already have run across some major issues that they realize they cannot just rule against the seller on while Beta Testing with the employees. As I said on the thread about Ebay announcing the issues they were having already with the Beta Test, for Ebay to announce anything negative about their service says it is a heck of a lot worse than they are disclosing. They feel they HAVE to disclose what they are to be in compliance with some government agency and the fact they have had to do it I am sure has sent ripples up the ladder to Wenig who is so used to just doing whatever he wants to do. 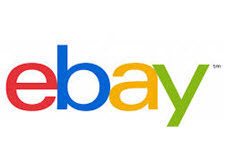 So who knows, in the Summer of next year then EBay is supposedly going to be accepting Paypal under the Beta test there might be some other major announcement to go with it. Ebays Marketplace may have become so worthless by then that Carl Icahn might have Paypal pick that piece off the junk heap called Ebay and start running it themselves, hopefully better than Wenig has, that is for sure. There is definitely something else big going on behind the scenes at Ebay that if it is ever disclosed will probably even knock the socks off of Pace and FidoMaster. This is just keeping in line with Ebays past history of never disclosing anything bad or negative, but suddenly making this huge announcement and now this little tidbit slipping out, no matter how accurate it may or may not be. While I dont want to belabor the point .... "As for the payments issue - your refusal to see linkage and causation is odd - but as nothing means anything to you - Im starting to understand." WHAT? I said NOTHING of the kind." Your first comment was that none of this (eBays new rule) means anything to you since you upload tracking right away. The second was that eBays new payment system has nothing to do with it. All I said to you was that they are OBVIOUSLY connected. Whether you agree or not is where/what we were talking about. Its a known fact that eBay does what ever Amazon does. If Jeff Bezos has a burger for dinner, so does Devil Wenig. When Jeff Bezos goes to the bathroom - Wenig "follows him in". SO, when Amazon directs smaller sellers to do SC or not be covered under A-Z issues, eBay will (and based on that Blue's comment(s)) not cover sellers either. How did I reach that? Because when Paypal is no more (they wont be doing CC processing for eBay after a certain point) - WHO will protect sellers? eBay almost always goes against sellers, and when Adyen contacts eBay saying there are too many customer issues due to INR (it was delivered to the mailbox but its not there so they file a chargeback) ... eBay WILL mandate SC - its simply just a matter of time. I just figure the less eBay has to do, Customer Service or IT wise, the less blame they take and the more beatings sellers get. And in the long run they will profit, no matter what.